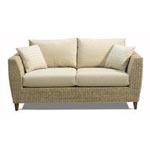 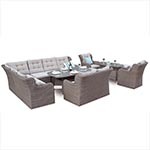 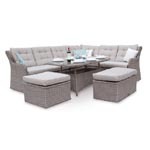 An all time contemporary classic the Sahara Seven Piece L Shape Chunky Rattan Modular garden furniture sofa is versatile yet compact with the L shape end been designed in a right handed configuration. 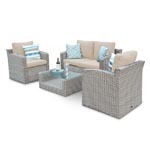 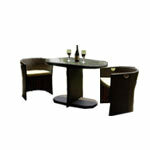 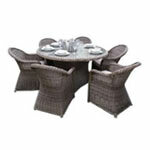 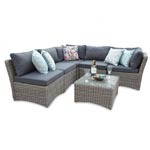 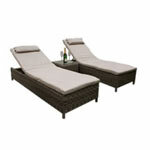 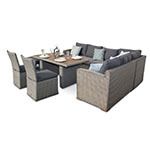 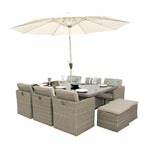 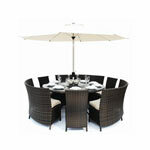 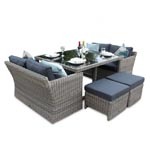 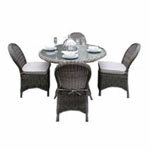 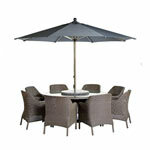 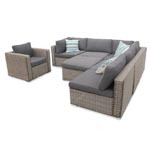 This very popular combination set comes in three rattan end chairs, two rattan middle chairs, a single rattan chair and a rattan coffee table.The Sahara Seven Piece Chaise Lounge Rattan Modular garden furniture sofa comfortably seats five people or more and is perfect for reading a novel in the sun or evening with your favourite tipple. 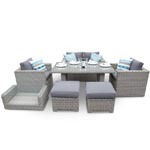 The Sahara Seven Piece L Shape Chunky Rattan Modular garden furniture sofa comes in a natural colour and full chunky weave giving it extra presence. 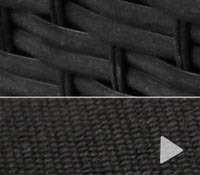 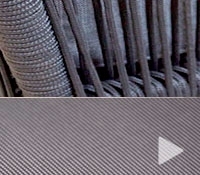 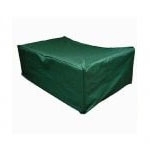 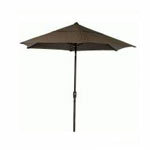 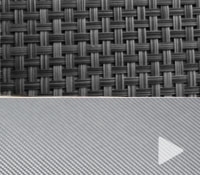 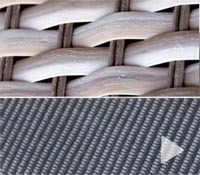 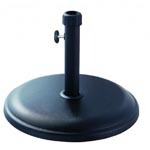 The set is supplied with Ecru cushion covers. 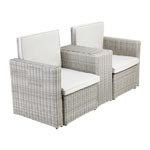 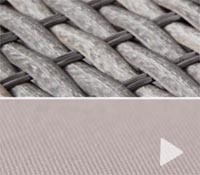 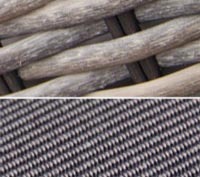 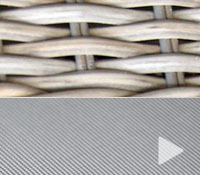 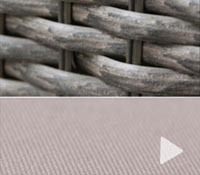 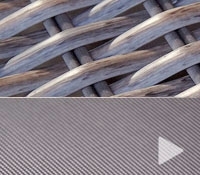 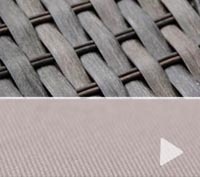 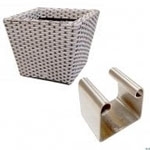 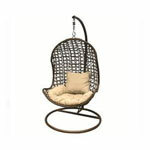 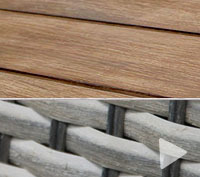 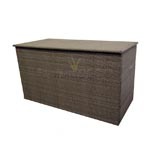 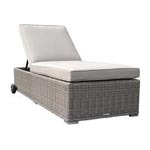 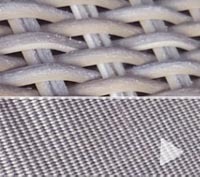 Our Sahara collection is designed using the highest quality 5mm Solid Synethetic 5mm Rattan and Half Round 5mm Wicker and developed to give a natural look.